Over the course of his eight years in office, Barack Obama spent 217 days abroad, making 52 international trips to 58 different countries. He was the first sitting president to visit Cuba in almost 90 years, the first to visit Malaysia in nearly 50, and the first to visit Myanmar, Laos, Cambodia, Kenya, and Ethiopia, ever. Where George W. Bush visited 72 countries and Bill Clinton visited 70, Obama’s 58 may seem like a low final tally. But what he lacked in quantity he made up for in distance traveled. Obama’s “Asia pivot” policy was evident in the international trips he took. He traveled to Myanmar not once, but twice: to meet with then-President Thein Sein in 2012 and to attend the 2014 Association of Southeast Asian Nations summit. In a high-profile event in 2016, he visited Japan’s Hiroshima Memorial, and met with survivors of the atomic bomb dropped on that city in 1945. 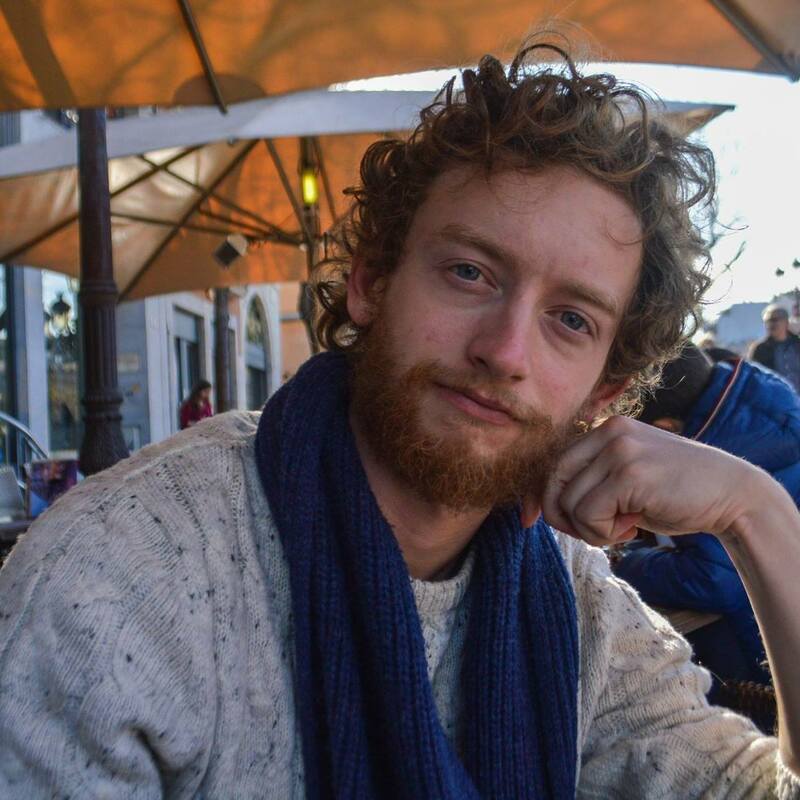 He also traveled to Kenya, where his father was from, and Ethiopia, where he spoke about human rights abuses against the LGBTQ community. He attended a baseball game in Cuba, learned to dance the tango in Argentina, and played soccer in Brazil. All in all, Obama spent 14% of his time in office abroad. So, Global Citizen is bringing you 14 pictures that capture a small slice of the president’s global experiences. Obama made three visits to China in his eight years in office. In 2015, Obama and Chinese president Xi Jinping agreed upon a number of crucial measures limiting carbon emissions and advancing renewable energy. 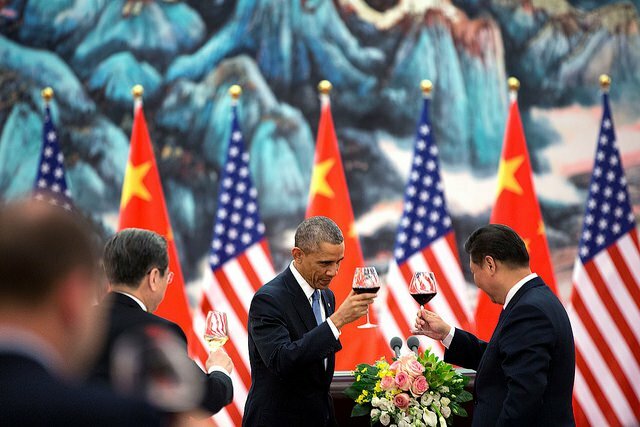 In this photo, from November 2014, Obama and Jinping share a toast at the Great Hall of People in Beijing. 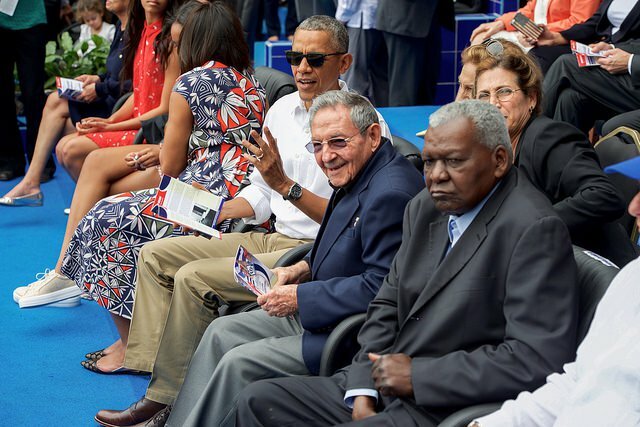 Obama and Cuban President Raul Castro take in a baseball game between the Cuban National Team and the Tampa Bay Rays at Havana’s Estadio Latinoamericano on March 22, 2016. 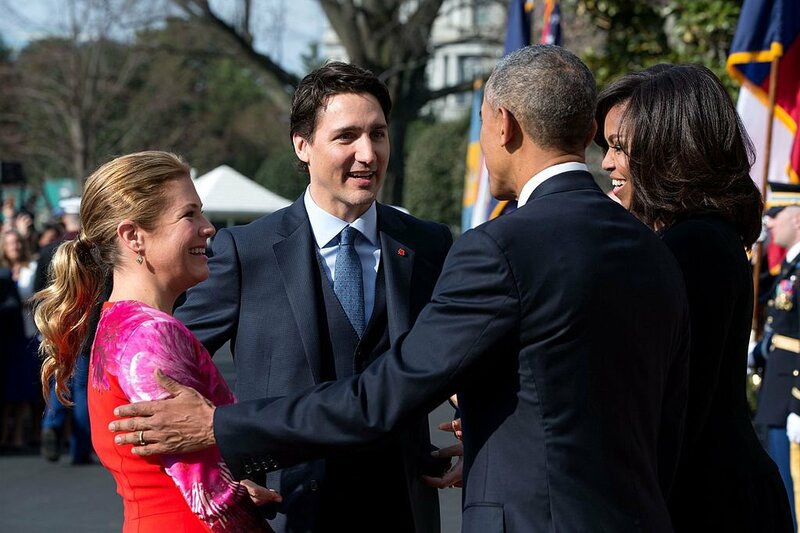 Obama met with other members of the G7 at a summit in Germany in 2015. 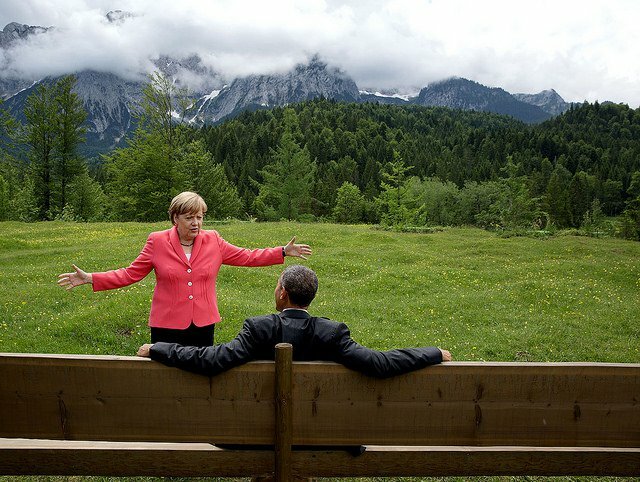 Here, he strikes a casual pose while chatting with German Chancellor Angela Merkel. 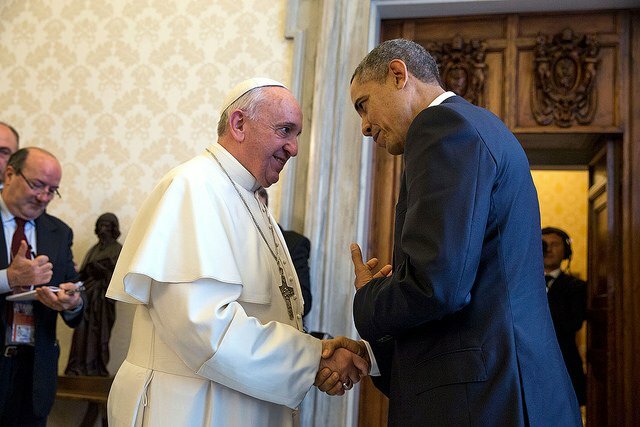 Pope Francis played an integral role in the re-establishment of relations between the US and Cuba, which began in December 2014 and culminated in the president’s visit to the island in March 2016. 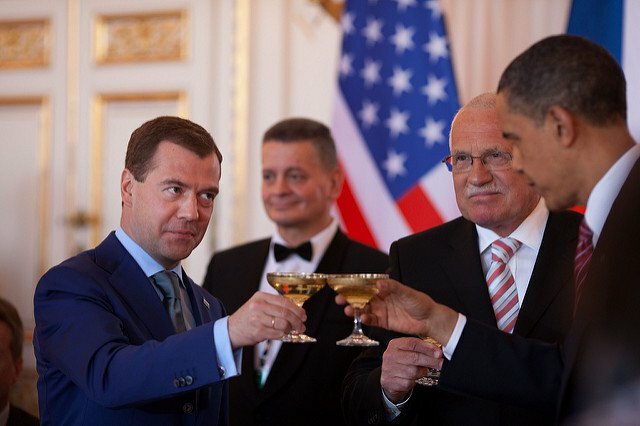 Obama met with Russian president Dmitry Medvedev in 2009 to sign a nuclear arms reduction, but only went back to Russia one more time afterward. Relations soured between the two countries when Vladimir Putin assumed office, and in August 2013, Obama canceled a summit with Putin due to concerns about NSA-leaker Edward Snowden. 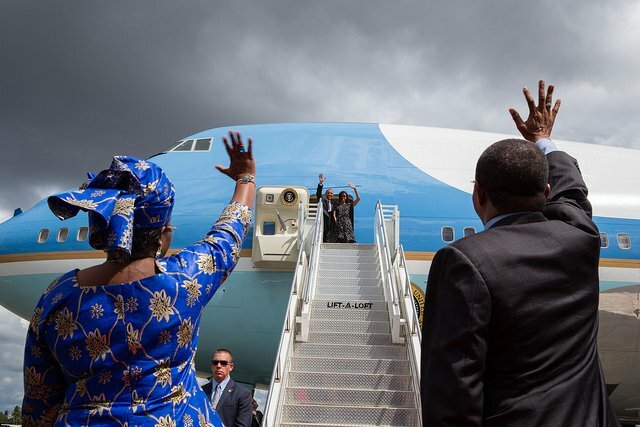 Tanzanian President Jakaya Kikwete and First Lady Salma Kikwete wave goodbye to the Obamas after their visit to the African country in 2013. 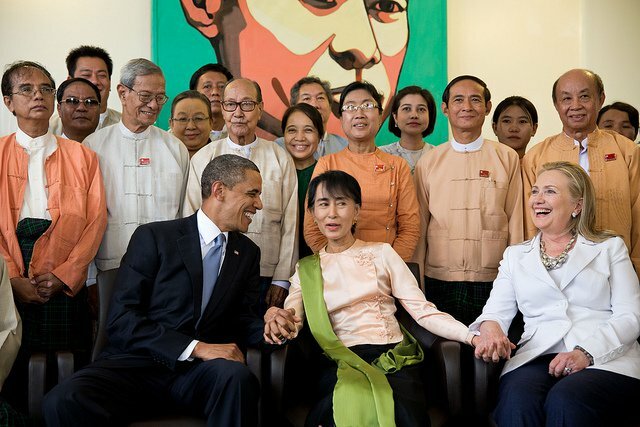 Obama opened up a new chapter with the fledgling democracy in Myanmar (formerly Burma), when he visited the country on two occasions (in 2012 and 2014) and later invited State Counsellor Aung San Suu Kyi to the White House in Sept. 2016. 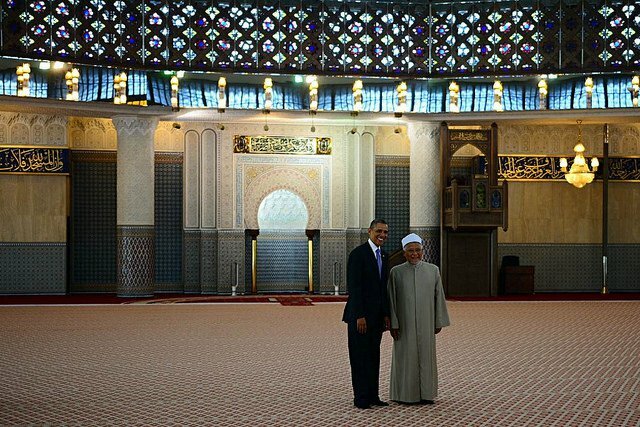 This picture, from 2012, was taken during Obama’s first visit to the country. 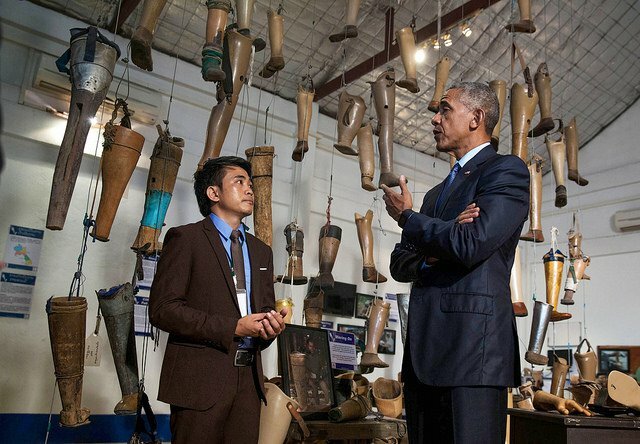 In this surreal photo, Obama visits the Cooperative Orthotic Prosthetic Enterprise in Laos, to learn about the toll mines have had on the region. 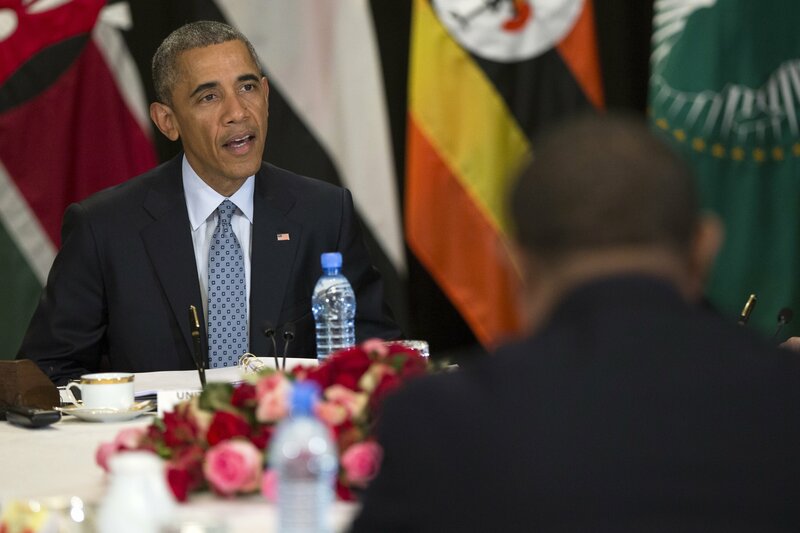 Obama’s trip to Kenya and Ethiopia in 2015 caused a stir, in part because of Kenyan President Uhuru Kenyatta’s professed anti-LGBTQ stance and Ethiopia’s authoritarian regime. Obama was the first sitting president to visit Malaysia since Lyndon B. Johnson in 1966. Here, he visited the National Mosque of Malaysia in November 2015. 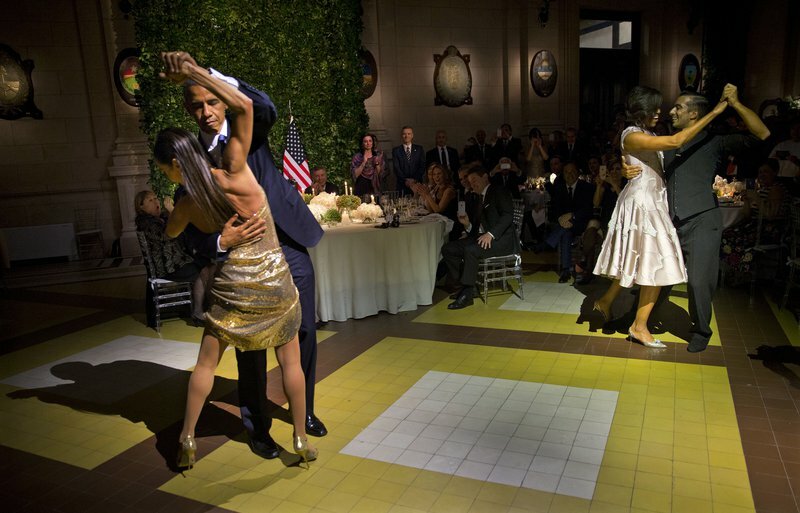 An unsuspecting Barack and Michelle Obama learned how to tango during a state dinner at the Centro Cultural Kirchner in Argentina in March, 2016. 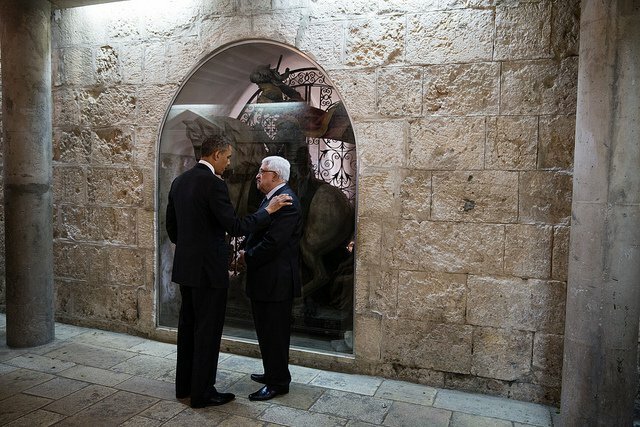 Obama visited President Mahmoud Abbas in Gaza’s West Bank in 2013. He said later in a speech that he believed “peace is possible” between the warring neighbors. 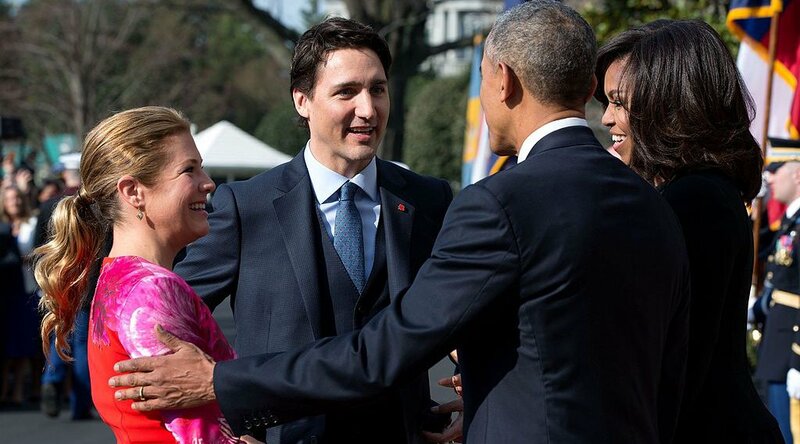 Canadian Prime Minister Justin Trudeau visited the White House in March 2016, which was the first official visit of a Canadian PM to the White House in 20 years. 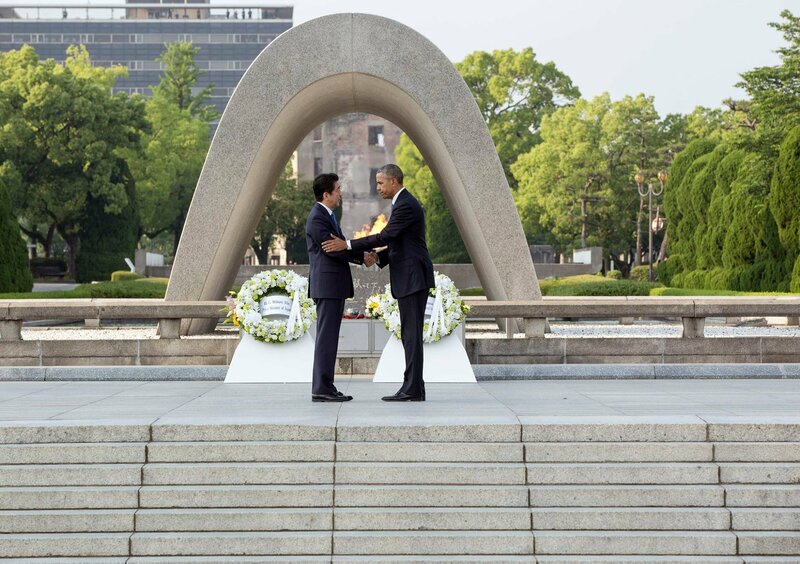 Obama shakes hands with Japanese President Shinzo Abe during a visit to the Hiroshima Memorial in Japan in May 2016, the first ever by a US president. Abe, in a likewise symbolic visit, came to Pearl Harbor in December of the same year, becoming the fourth Japanese president to do so.